Another week, another controversy surrounding the Patriots. This time, however, they weren't the ones in question. 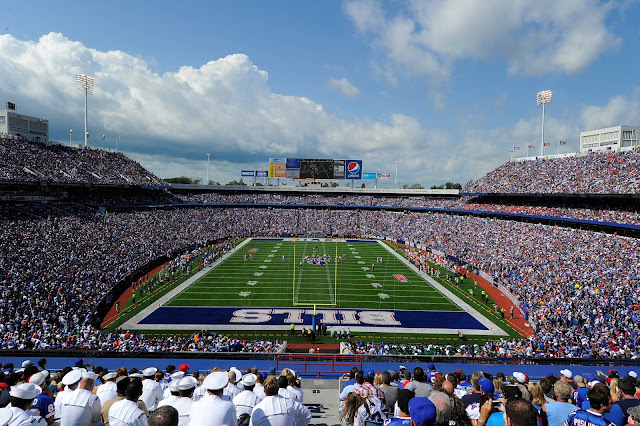 The Bills may or may not be at fault for violating pre-play stadium sounds during Sunday's game, according to Pro Football Talk. On multiple occasions, the Bills would blare a train horn while the Patriots were on offense to try and throw them off. But it happened more than it should have. The Patriots used the no-huddle offense on multiple occasions, and on multiple occasions when the Patriots used the no-huddle offense the Bills were blaring the train horn. This seems like a minor offense, so it's doubtful the league will come down hard on the Bills, if at all. According to the report, all 32 teams are required to submit recordings of the video board feed that go along with the PA system audio by the Wednesday following a home game. So in other words, we'll know tomorrow if the Bills did anything wrong.